Why the Fall Selling Season Is Better Than You Think – Find real estate in Utah along the Wasatch Front using our search to find homes by price, bedrooms and more. All companies listings. Buying, selling or building we focus our efforts towards delivering absolutely the best service! There is a common misconception that spring is the only worthwhile time to list your home, and listing anytime out- side the prime “selling season” will lose you thousands. In truth, the fall selling season is the next best time to sell your house. There is a common misconception that spring is the only worthwhile time to list your home, and listing anytime outside the prime “selling season” will lose you thousands. In truth, the fall selling season is the next best time to sell your house. 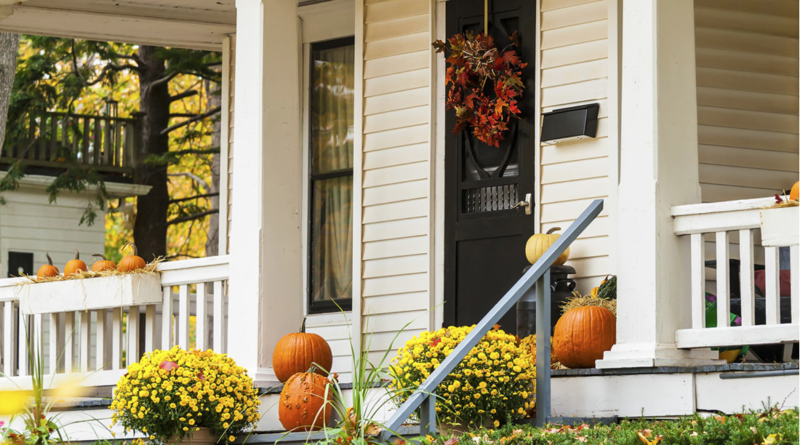 Here are the main reasons why selling in fall is a good idea — and how to present your home to its best advantage. The Numbers-The National Association of Realtors reports that 34 percent of homes sell within 30 days on the market during the fall selling season. This is just a shade behind spring, which comes in at 39 percent. Many of these homes sell for above-asking price based on the study, which researched homes sold between 2010 and 2014. The Reasons to Sell- Though there is a slight slowdown in the market during the fall, there is less competition. By being able to highlight your home — particularly if it’s only one of a few available in your area — chances are high you will end up with multi- ple offers or an offer over asking price, something that every buyer covets. It is also important to remember that regardless of the sea- son, serious buyers are still looking — and ready to purchase when the right home comes their way. This means you can focus your marketing on buyers who are serious about your home. How to Show Your Home- Though it is still a good season to sell, fall does have some unique challenges, particularly if you live in an area where the seasons change drastically throughout the year. Regardless of where you reside, these five tips will help en- sure your home stands out. 1. Warm It Up- Regardless of where you live, open shades and blinds and turn on all the lights to warm your home with an abundance of natural light. If you live in a colder climate, consider turning on a gas or electric fireplace or boosting the thermostat by a few degrees to ensure potential buyers feel the warmth. 2. Use Seasonal Décor-Seasonal decor can create an emotional impact on potential buyers. As one of the strongest senses, smell can play a large part in creating a visceral reaction on a buyer. Scented candles in a harvest scent, freshly baked goodies, or even a stew roasting in a slow cooker can help buyers picture themselves gathering in your home with friends and family. Throw pillows, gourds, and fall flowers will also add a bit of extra color to bring the feeling home. Raking leaves, and cleaning gutters remain essential in ensuring your home looks good from the outside in. Line pathways or porch steps with pumpkins or brightly colored mums in harvest hues. Even dried corn stalks tied to a porch column can provide a seasonal pop that makes your home stand out. Fall is a prime season for empty nesters or new buyers to the market, so make sure to speak with your agent about how to target your home to the most applicable buyer, and ensure your staging and marketing efforts keep them in mind. 5. Show the Seasons-In fall or winter, your yard may not show at its best, so keeping a photo album of your property in full bloom available for buyers to browse can help them visualize your home in its glory.